Psychics have hidden faculties that give them an edge on intuition, the inner voice that serves as a sixth sense, and clairvoyance, the ability to predict what is forthcoming. In order for us to understand how to manage these abilities, that we sometimes refer to as gifts, we need to be aware of how our brain works. 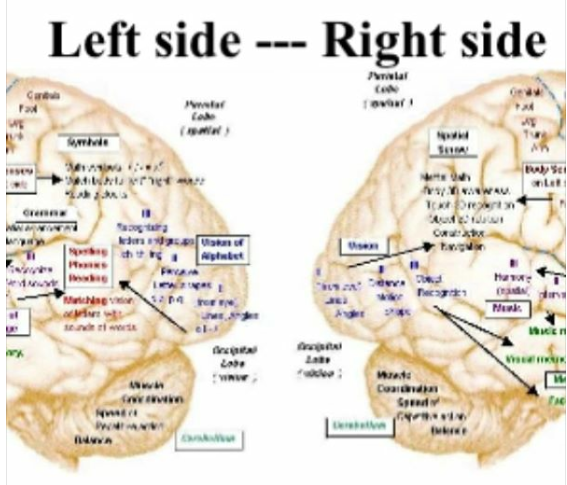 Are you a left or a right sided thinker or are you one of the super-conscious people that can manage both sides with equal balance. Attached is an amazing link on the “Hidden Talents of Our Brain”, that will set you aside from the rest by teaching you how your brain ticks. Knowing how the brain works will enable you to tap into the brain waves that helps you activate the Pineal Gland which connects to your third eye’s intuition and your Limbic System of your brain that controls anger, fears and rage and releases serotonin levels that increases happiness and satisfaction.